A couple of days late, but I just wanted to brag that on Friday, Worio was featured on TechCrunch. We’re all very proud. I don’t have much to add, except to say if you’re curious about what Worio does (and how it does it), the article is probably the best explanation of our product available. 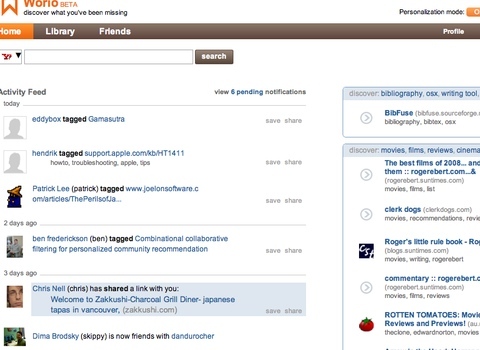 Also filed in | | Comments Off on Worio on TechCrunch! Also filed in machine learning, me | | Comments Off on Worio Public Beta is out!